From my archives, a cover of Cricket magazine to celebrate Halloween and all things spooktacular. 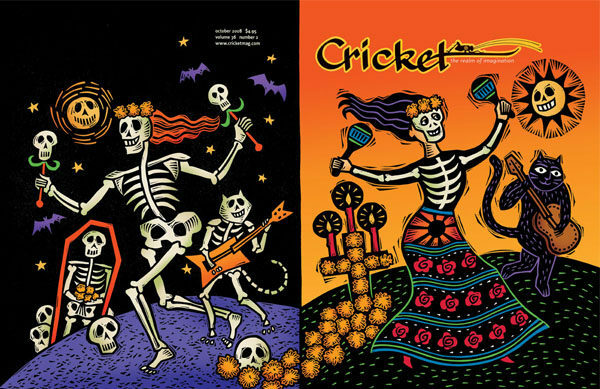 The Mexican Day of the Dead celebrations became the inspiration for this Halloween issue. The wrap-around cover presents a friendly front and a ghoulish back and it stands out as one of my most enjoyable assignments. Like all of my art it is hand carved lino-cut with digital color.